As per the needs and requirements of our clients, we are involved in providing Supermarket Fruit Trolley. Incorporated in the year 2010, Bombay Steel has carved a niche amongst the trusted names in the market. Ownership type of our firm is the sole proprietorship. The head office of our business is situated in Mumbai, Maharashtra. 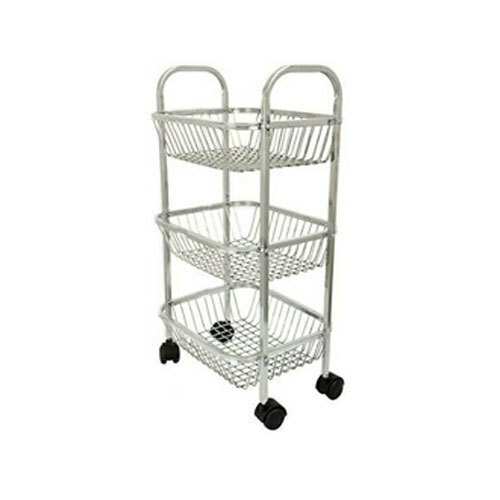 Enriched by our vast industrial experience in this business, we are involved in manufacturing an enormous quality range of Stainless Steel Trolley, Dish Wash Basket, Kitchen Pipe Stand Rack and others. We offer these products at industry competitive prices to our valued customers within the defined time span. Our professionals stringently test the entire range to ensure that our products are free from all kinds of defects. Each product is supervised under quality control cells to rectify errors. If the products do not adhere to the quality standards they are removed from the gamut.